i know i am not alone in being thrilled that halloween is over. halloween always seems like such a minor holiday...but when you have kids, it becomes the second busiest holiday of the year! fall festivals, halloween parties and parades, costume preparation, and decorating the house all factor into the insanity. throw in a birthday party or two, a science project, a sick child, work, and every day chores, and i was ready to hibernate until spring! here is a look at the last 7 days of my life...well, actually, just a few highs + lows. it has been sad and grundgy looking for the last 5! 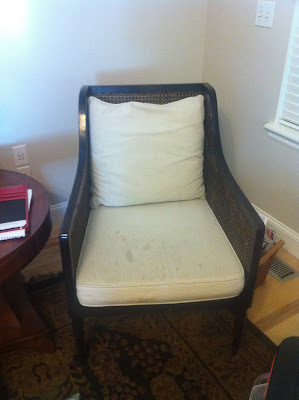 i chose an off white and black stripe fabric and the welting will be in a black velvet. i am super excited to see them all finished! 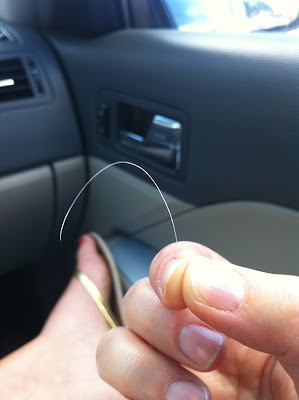 found the first gray hair on my husbands head... evidence that we are getting older. i haven't spotted any on my head...yet, but i know it's coming around the bend...and FAST! he is insisting this hair is blonde. i love ya sweetie, but i am PRETTY sure that this is NOT a blonde hair. got to go fabric shopping with a dear friend, and ran into caitlin creer. it was fun chatting with her about design, motherhood and fabrics! 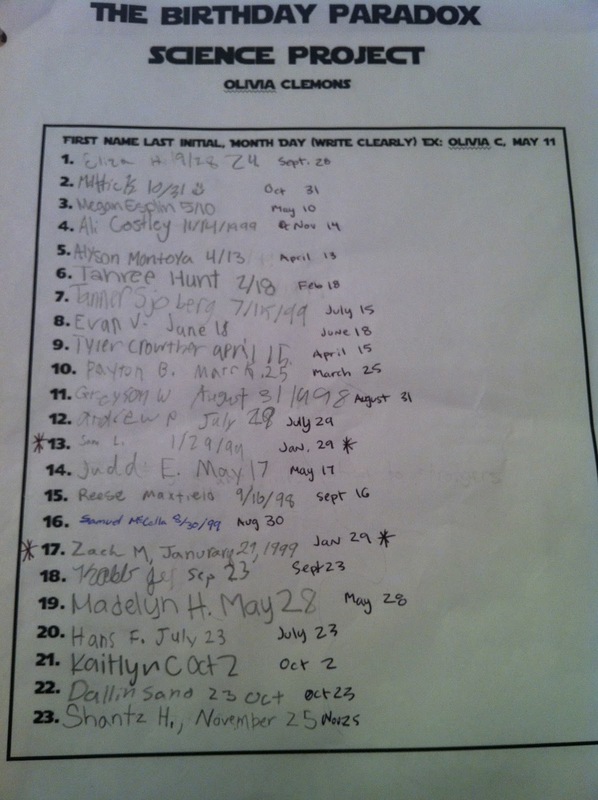 it might be mean to say this was a low, but it was....my oldest daughter did a science project where she had to poll 230 people on their birthdays. not only did we spend a lot of time at the mall, the theater, and the grocery store, (and a few other places) but we also stayed up until 1:45am the night before it was due, trying to compile the data into a power point presentation. why is middle school so hard?? getting to dress up my two youngest kids, and attend a halloween parade at their elementary school. 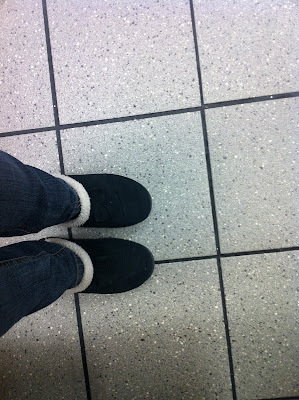 ran to the grocery store, only to look down, and realize i was wearing slippers! light-up halloween sweatshirt and my top hat. that would have landed me here for sure! considered buying one of these things EVEN for a SECOND makes this a definite LOW. going to the bakery, armed with fabric swatch and a sketch for my daughters birthday cake, only to be told is was going to be "at least $150". what?? i settled on a smaller version, and it ended up costing a LOT less. so, i guess this is a HIGH and a LOW. 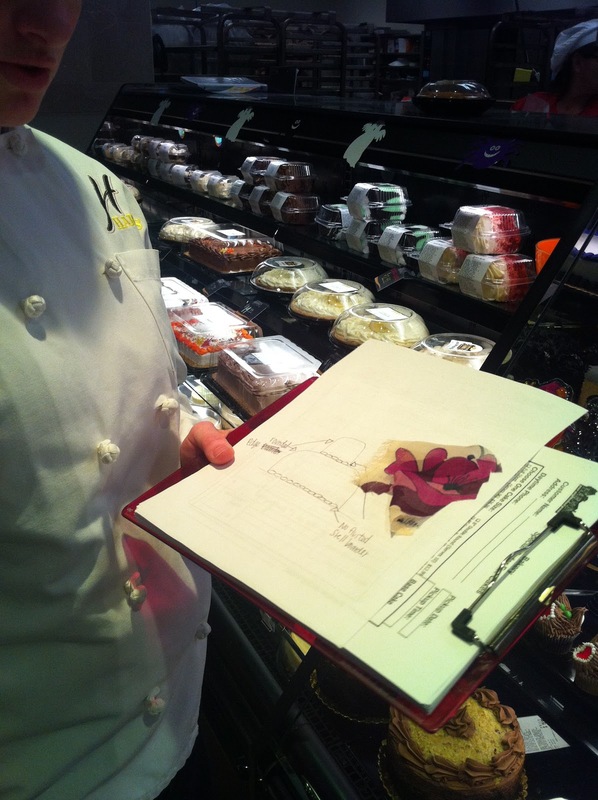 found the perfect colors of flowers for the birthday party at the grocery store! i was fully prepared to pay through the nose at the florist to get the colors i needed, but i spotted these, and saved a ton of money! 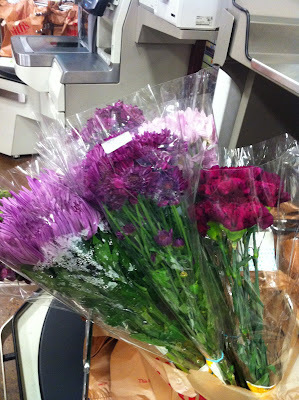 not only were the bunches $3.99 each, but there was a coupon for buy one, get one 1/2 off. SO, i got 8 bunches of flowers for $24! i will share pictures of the party this week sometime. 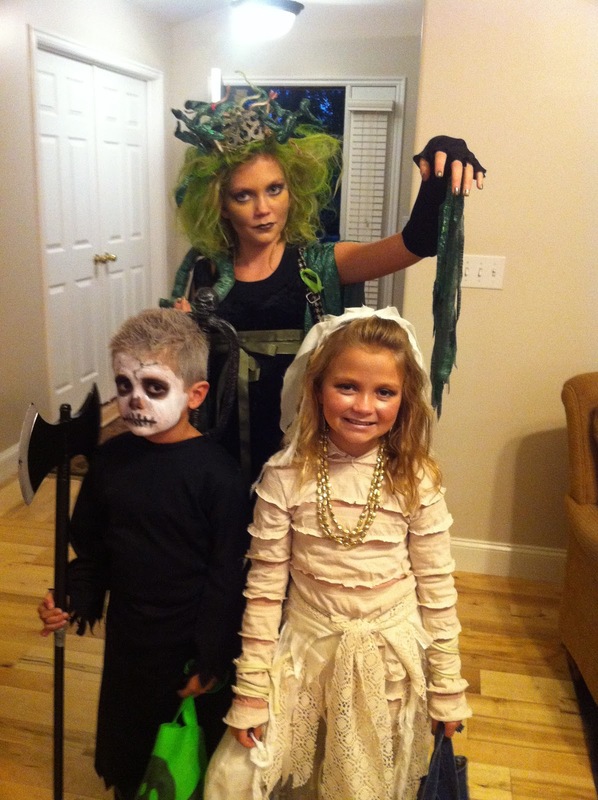 sending my kiddos (the ghoul, the mummy bride, and medusa) off the trick or treat with their dad. they are getting so BIG! 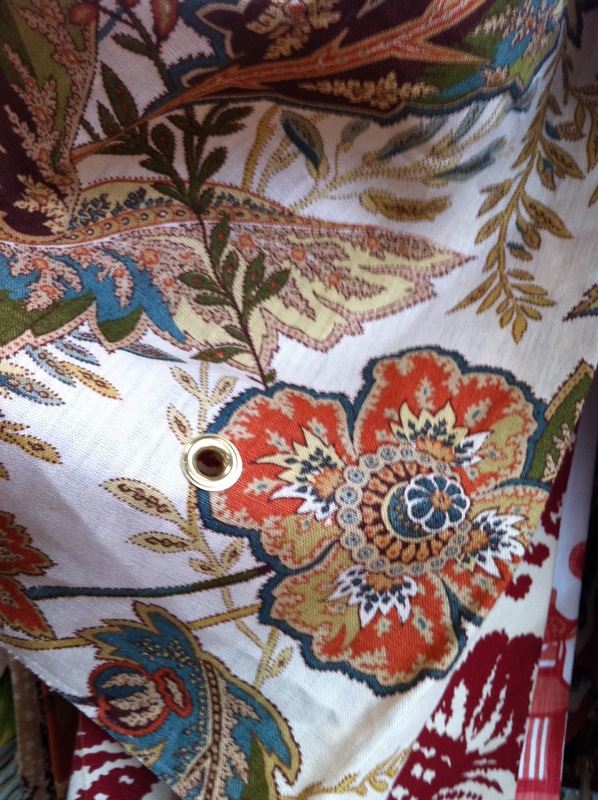 Love the top fabric in your photo above. Any chance you might know the maker/print name? It would be perfect for my guest bath! What a cute way to put together a week! I am envious you and DH are just STARTING to get gray hairs. I have had grays since I was 17 and DH has had grays since he married me! LOL ;) Count your blessings my dear, I am younger than you!! I'd say the highs made up for the lows. I can't wait to see your finished chairs! I bought my mom a "snuggy" as a joke for christmas once (basically a blanket that you wear), and both of her sisters asked where thy could get one. The fabric is called "sandoway vine" in "spice" by Schumacher. everyone looks great for halloween! & i'm loving your slippers. lol. ugh. middle school!! 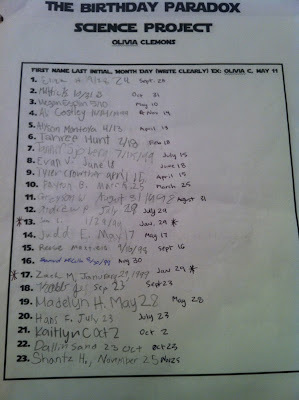 her project was to do research to support a thing called "the birthday paradox" that says that if you randomly poll groups of 23 people, you have a 50% chance of getting a matching birthday. well, after polling 10 groups of 23 people, we had a match on 9 out of 10 groups! weird----eeeeeeeerie! and thanks...my slippers are pretty cozy, even if they don't win any beauty awards. LOL!!! 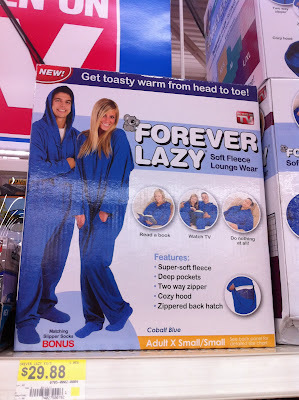 I was just at WalMart this weekend and seriously laughed out loud when I saw the "Forever Lazy"! Who comes up with this stuff!?!??! 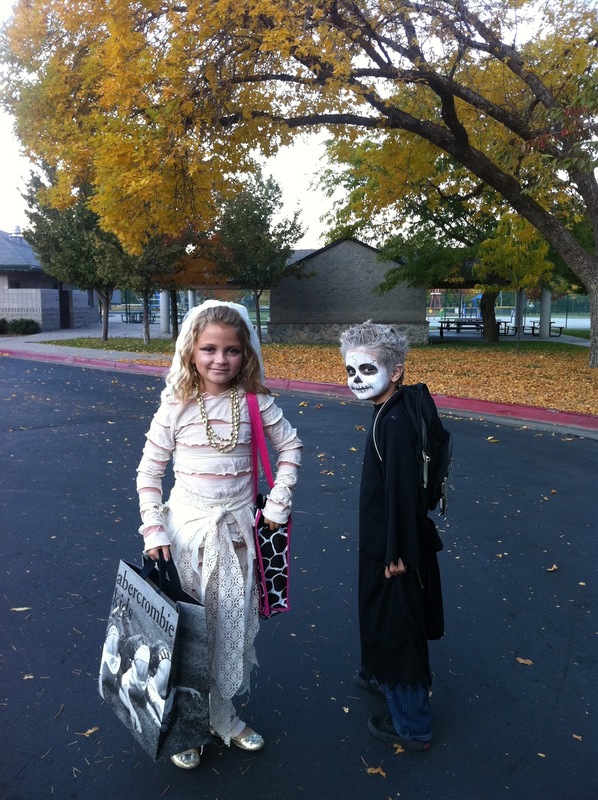 Kids are really spooktacular but I am with you on being over the exhausting Halloween season.